8 *Pretty* Hair Colour Trends That Will Make You Stand Out On Your Shaadi! Being a bride is no easy job, and we are sure that all you ladies getting married in the next few months will agree with us. You have to shop for outfits, take care of your skin, take care of so many other things related to your wedding AND look gorgeous on the big day. And, for that, you have to make sure that you leave no stone unturned. 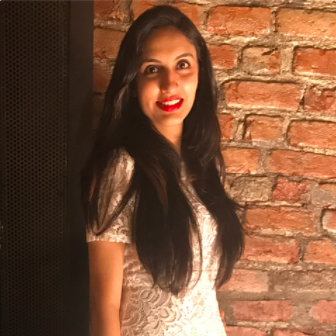 Your wedding lehenga and make-up are on point? Great! Now here are 8 amazing hair colour trends that will add so much to your bridal and newlywed look! 1. Ombre, all the way! If you really want to experiment with your look, then this is what you should be doing. Ombre is not just a trend for clothes, but it’s also a major hair trend this season. If you are planning to keep your hair open for any of the functions, then this will be an ideal style to pick. Are you worried that colouring your hair might damage them? Not going to happen if you pamper them with L’Oreal Professionnel Serioxyl GlucoBoost Clarifying Shampoo For Coloured Hair which you can get on Nykaa for Rs 950. This is one trend that will look good on most brides...it’s just about how you carry it. You can either get blonde highlights or even opt for dip-dyed blonde hair. Either way, it will instantly add a glam factor to your look. And you should definitely do this if you want a complete hair transformation. You will love the change. This is just the right hair colour trend for girls who have naturally brown hair. For caramel highlights to stand out beautifully, it’s better you get them done on dark brown hair. If it’s not your natural hair colour, then you can always get them coloured brown first, and then get caramel highlights. Simple! Are you a fan of lovely loose curls too? Well then great news! With the help of Vega Smooth Curl, you can get beautiful wavy curls anywhere, any time! Get it on Nykaa for Rs 1,699 only! This is one trend that is so ON FIRE this season! It’s the hottest trend for a winter bride and we sure are absolutely loving it. It gives your hair a natural, sun-kissed look and we just can’t explain how gorgeous it looks. If you just want to pretty up your hair without being too experimental, then go for this, we say! This is one hair colour that is just not for the faint-hearted. But, for the pataka bride, we couldn’t have asked for a better choice. If you want to go all out and OTT on your big day, then fiery red is a great choice. For an all glam look, this is just perfect. Get this done at least a week in advance for the colour to settle in and not appear too in-your-face. Adorn your gorgeously flaming hair with this elegant matha patti from Amazon at Rs 349 and make heads turn on your big day! We call it the beach bonfire hair colour because it gives out such a funky vibe. Ombre highlights and beachy waves make such a beautiful combination, don’t they? 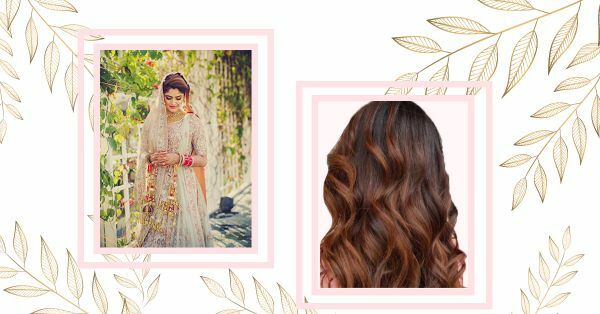 But, if you do go for this hair colour trend, then make sure you let your hair loose (literally) at least once during your wedding celebrations, so that people can appreciate how pretty they are! If there is one hair colour that suits our Indian skin tones most, it is this. Honey highlights look awesome on black and even brown hair. Even if you just get a few honey-coloured streaks, they will instantly pep up your shaadi look! Love this colour? Get gorgeous honey-coloured hair at home with this BBLunt Salon Secret Hair Colour in the shade Honey Light Golden Brown available on Nykaa for Rs 169. Burgundy is THE hair colour to sport this winter. If you do not want to be very experimental and go for an all-red look for your hair, then just get some burgundy highlights done and you’re good to go. It will instantly make you look and feel pretty, we promise! You can either opt to get this look done professionally, or do it yourself at home with the help of BBlunt Salon Secret Hair Colour in the shade Deep Burgundy available on Amazon for Rs 179.